Published October 6, 2018 at 7:02 p.m. Updated October 6, 2018 at 10:08 p.m.
Photo by The Vindicator | Few are applying for certain manufacturing jobs – and many of those who do apply can’t pass the drug test these companies require. It’s not a new issue, nor is it unique to the Valley. But it has been exacerbated recently as the unemployment rate hits record lows leading to a tightened labor market. There is no limit on how many people Vallourec, a global manufacturing company with a steel pipe mill here in the Valley, could hire right now, said Chris Allen, the company’s talent acquisition manager for North America. That demand is no doubt driven partly by the boom in oil and natural gas, one of the primary industries Vallourec serves, but there are other issues at play that other Valley manufacturing companies are experiencing, too. “We could use 20 more [employees] right now,” reports Mike Kovach, CEO of Youngstown-based City Machine Technologies, Inc., an industrial service provider and electromagnet manufacturer. That’s a 30 percent increase from CMT’s current employment of about 65. Just within its field-service division, where salaries are in the six-figure range, Dearing Compressor and Pump Co. could hire about 10 people right now, according to company Vice President Becky Wall. Dearing, which is based in Youngstown and serves the oil and gas industry as well as making air compressors for manufacturing companies, is also looking to hire machine assemblers, project engineers and welders. The problem is, few are applying for these jobs – and many of those who do apply can’t pass the drug test these companies require. It’s not a new issue, nor is it unique to the Valley. But it has been exacerbated recently as the unemployment rate hits record lows leading to a tightened labor market. On Friday, the U.S. Labor Department reported the September unemployment rate of 3.7 percent was the lowest since 1969. Beyond economic factors, people with knowledge of the local manufacturing industry say there is a cultural issue, as well. Students are eschewing the trades in favor of career paths that require four-year degrees or even higher levels of education. About two out of every three high school graduates go on to college to pursue a bachelor’s degree, according to recent federal data. Meanwhile, students leaving college more indebted than ever. According to Debt.org, total U.S. student debt now totals $1.4 trillion and average student debt for recent college graduates is more than $37,000. The average U.S. college graduate can expect to start out making about $50,000 per year. In this region, however, it is lower, with the overall average salary for Youngstown at about $40,000, according to PayScale. Local manufacturing experts acknowledge not everyone is cut out for a career in a skilled trade. But local manufacturers and educational institutions that provide skilled trades training want students to at least be aware and open to the idea that, for the right person, there is a different path – one that can be stable, lucrative, debt-free and much different from the stereotypical factory job the word “manufacturing” often brings to mind. Local manufacturing companies began to feel the labor pinch in the last decade or so. “For the last 10 years, we’ve all been struggling with the same problem,” said Wall, of Dearing Compressor. The issue led the Mahoning Valley Manufacturers’ Coalition to form in 2011. “This is the challenge that was the reason MVMC was formed,” said Jessica Borza, executive director of the group that represents dozens of companies in Mahoning, Trumbull and Columbiana counties. Federal data indicates the trend is national. In July, there were 506,000 open manufacturing jobs in the U.S., according to seasonally-adjusted, preliminary U.S. Bureau of Labor Statistics data. That’s a nearly 98 percent increase over the number of openings (256,000) in July 2008. 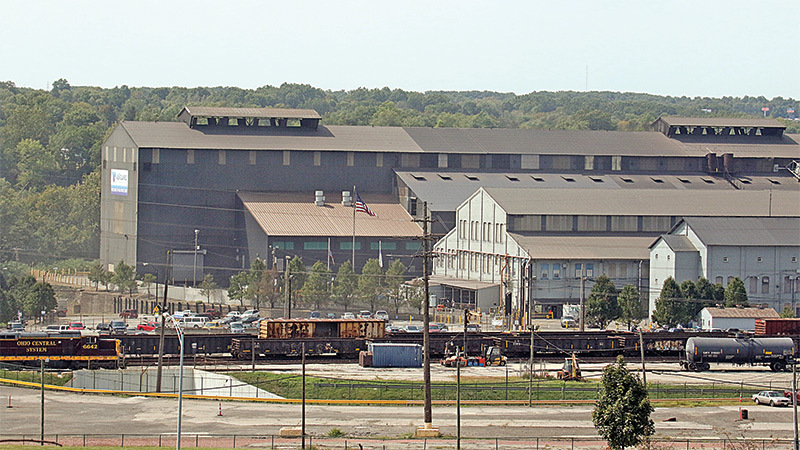 The Oh-Penn Manufacturing Collaborative, a partnership between MVMC and a similar organization serving Lawrence and Mercer counties, found in a 2015 report that there are more than 2,800 manufacturing openings annually in the region. Beyond the economic forces, what is causing these workforce challenges? Local manufacturers primarily pointed to a few factors, one of them being a lack of drug-free candidates. “It comes up in every interview,” Kovach, of CMT, said of the drug issue. He estimated that about half of candidates who accept initial proposals from CMT either fail or will not take a drug test. Perhaps the biggest issue employers cited is a shortage of workers going into skilled trades, an issue they believe must be addressed in schools. The Mahoning County Career & Technical Center and Eastern Gateway Community College have the right programs in place, but it’s a matter of getting students and their parents to consider a skilled trade as a viable career path, they said. “The message is not getting out there to the public and the parents,” said Wall. Keith Murdock, EGCC executive director of marketing, agreed there is an issue getting students interested in these types of jobs. In fact, Murdock said, demand is so strong right now that in some cases employers will hire someone and then send them to a training program. Additionally, people training for manufacturing positions such as machinists and welders are not only looking at near-certain hiring, but at good salary prospects. Federal data indicates that in the manufacturing sector overall, the average hourly wage in September was $27.07 for all employees and $21.57 for production and non-supervisory employees. The average weekly hours for those groups was 40.8 and 42.1, respectively. That puts those salaries in the $50,000 range. Local companies and the MVMC also want to spread the word that manufacturing jobs are not what they used to be. For the right person – as Mike Kovach puts it, “the kid who can fix his lawn mower” – the opportunity is there. “We need you. Find us,” Wall said. October 6, 2018 6:53 p.m.
April 15, 2015 12:08 a.m.